Wm. F. Hurst Co., LLC, carries a comprehensive selection of abrasives that can suit the needs of companies in various industries. As a leading industrial supply distributor, we’ve been serving customers in Dallas, Fort Worth, Wichita, Kansas City, and other cities throughout the Midwest for more than 50 years. Our staff shares more than 100 years of combined experience, so you can trust us to help you select the ideal abrasives for your operations and budget. Our impressive inventory features a variety of bonded, coated, and nonwoven options, including production grinding wheels, sanding discs, belts, and other specialty products. In addition to an expansive selection of premium abrasives, we carry countless other industrial tools and supplies, including Kennametal cutting tools, assembly tools, air tools, safety supplies, and more. We are also known for our responsiveness and outstanding customer service, and we meet the usage and delivery requirements of all our customers. Our unwavering commitment to our customers has helped us earn numerous industry awards. 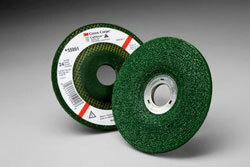 To learn more about the benefits of ordering your industrial abrasives and other tools from Hurst, contact us today. We are happy to work with customers in Dallas, Fort Worth, Wichita, Kansas City, and other cities throughout the Midwest.